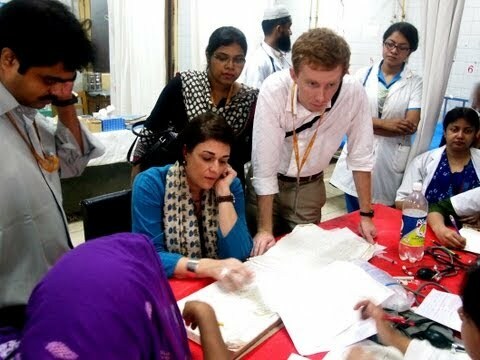 The Third Year Global Health Study Program, administered by the School of Medicine in collaboration with the Duke Global Health Institute, helps Duke medical students identify, coordinate, and find funding for research projects focused on reducing health disparities in low- and middle-income countries. The Global Health Study Program connects medical students with mentors from a variety of disciplines who are currently involved in global health research, at Duke and abroad. The program provides orientation to issues such as responsible conduct of research, cross-cultural competency, and travel safety, as well as guidance on identifying and applying for external global health research opportunities and funding. Medical students may complete the Master of Science in Global Health, combining on-campus coursework and field research over a two-year period. Each year, funding may be available for tuition relief from the School of Medicine and the Graduate School for students wishing to earn the MSc-GH. Applicants to the program will be automatically considered for this funding when an application for the MSc-GH is submitted to the Graduate School. Global Health Leaders Start Here.